As the most powerful monarch of Europe with great military ambitions for France, the “Sun King” Louis XIV (r. 1643-1715) did not lack for enemies. His detractors in Britain, the Holy Roman Empire and the Dutch Republic – some of them French Huguenots who had fled the Catholic regime of their home country – were keen to attack the splendorous image Louis projected. Pamphlets were published with titles such as Eigenlob stinkt gern [“Self-praise loves to smell”] and Laus Ludovici Delusa [“In praise of Louis the Delusional”]. The Dutch artist Romeyn de Hooghe turned the image of the Sun King upside down by portraying Louis as Phaethon, the son of Helios, whose foolish efforts to steer the chariot of the sun across the heavens resulted in calamity and his untimely death. 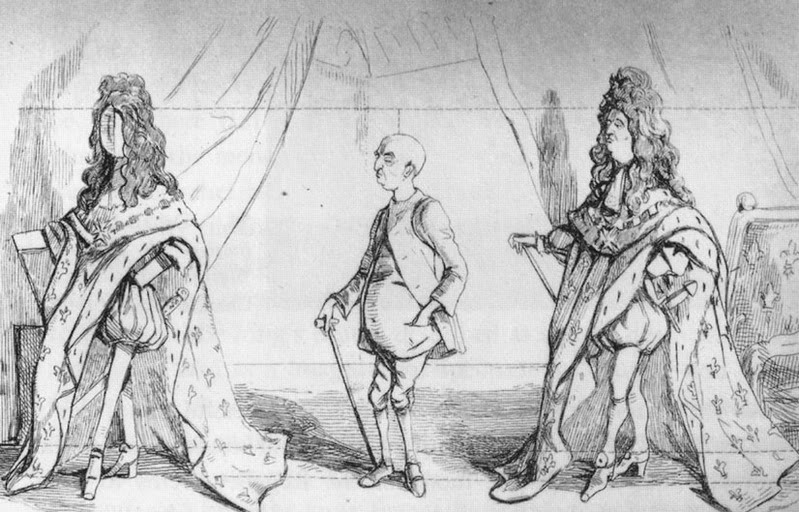 However, the most memorable attack against Louis’s royal aura was published long after his death, in the form of a cartoon by the nineteenth-century British satirist William Thackeray. Without his splendid dress and attributes, it turned out, the Sun King was just a measly little man with a bald head. 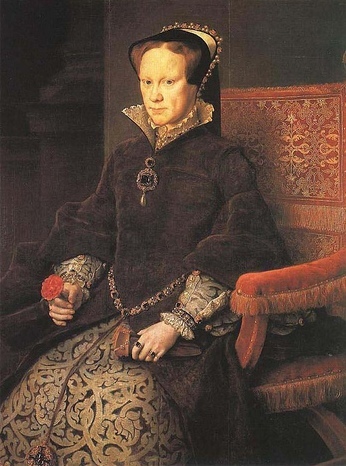 Although she enjoyed much popular support when she ascended the English throne, Mary I (r. 1553-1558) would soon prove to be one of England’s most controversial monarchs. Because she was a woman, many critics deemed her unsuitable to rule and feared that the actual power would fall into the hands of her husband, Prince Philip of Spain (the later King Philip II), whom she married in AD 1554. Moreover, the Catholic Mary went to extremes to suppress the rise of English Protestantism, burning numerous heretics at the stake, including even bishops and archbishops. Her ruthless persecutions earned her the nickname “Bloody Mary”. One of Mary’s most vocal critics was the Scottish Reformer John Knox, who fumed against reigning women in his 1558 diatribe The First Blast of the Trumpet against the Monstruous Regiment of Women. As the raging Scot promised his readers, Mary, “cursed Iesabel of England, with the pestilent and detestable generation of papists”, would not escape the wrath of God for their “bloodie reigne” and “beastlie crueltie”. It could only be a matter of time before “the sobbes and teares of the poore oppressed” and “the groninges of the angeles” would be revenged – as would “euerie earthlie creature abused by their tyrannie”. 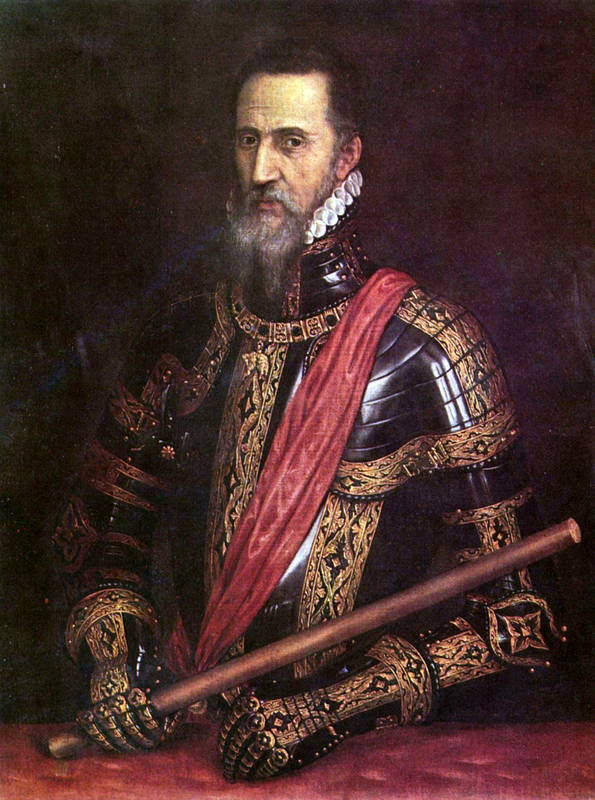 “Our Devil, who doth in Brussels dwell / Cursed be thy name in heaven and in hell”, was one of the many slurs against the Duke of Alba, the general sent to the Netherlands by the Spanish King Philip II (r. 1556-1598) to crush the Dutch Revolt. Heavy taxation and the suppression of Protestantism had caused resentment against Spanish rule in these northern regions of the Empire. From 1567 to 1573, Alba tried to restore order, besieging rebellious cities and executing thousands of people – among them the Counts of Egmont and Horn. His ruthless rule earned him the nickname the Iron Duke. Alba became the target of fierce character attacks by Dutch rebels, who spread posters, pamphlets and even coins depicting him as a vain, bloodthirsty tyrant, a lackey of the Pope and a depraved man, with one picture showing him kissing the Whore of Babylon. When Napoleon Bonaparte prepared the invasion of Britain in 1803, a veritable stream of anti-Napoleonic propaganda started flowing on the island. 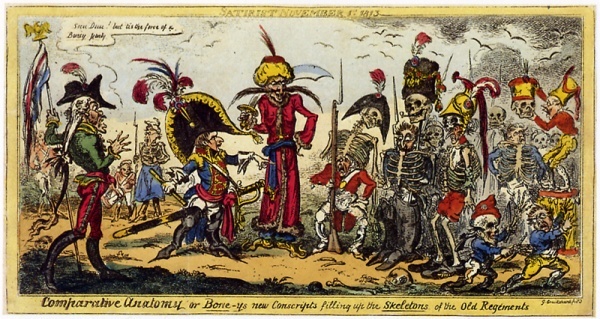 Through pamphlets, ballads and cartoons, a “black legend” was created in which Napoleon featured as a bloodthirsty and insatiable warmonger who committed numerous atrocities. From about 1810, caricature images of the French conqueror crossed British borders and were spread among European audiences. Cartoonists loved to portray Napoleon as a dwarfish man in a huge hat, making him look like a petulant child or a toy soldier that could not possibly be taken seriously. This strategy was so successful that the notion of Napoleon as a man of diminutive stature has lasted to this day. During the Reformation, popes frequently became victims of character attacks. 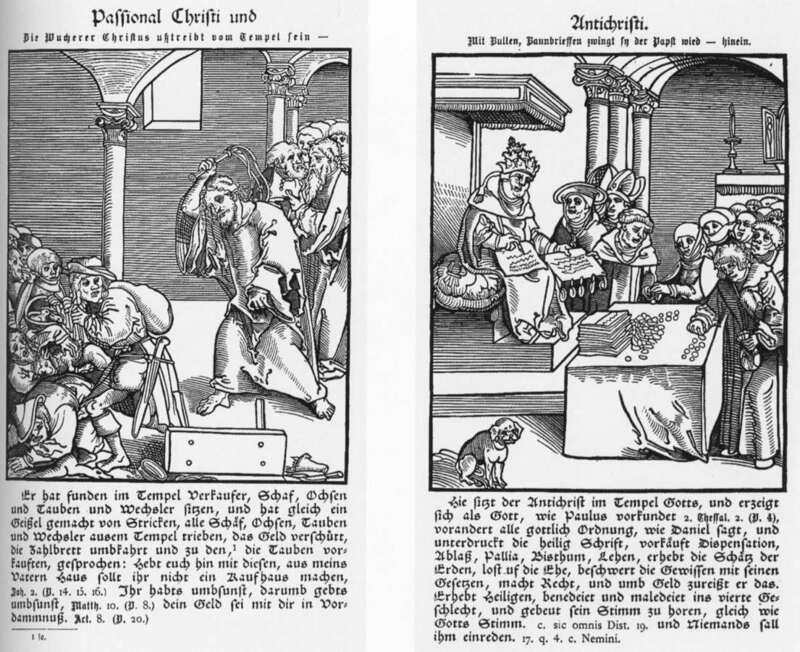 A prime example is the popular pamphlet Passional Christi und Antichristi, published in 1521 by the German painter and engraver Lucas Cranach the Elder, a close friend of Martin Luther. Like Luther, Cranach was angered by the decadence and corruption that plagued the Church of his day. In his pamphlet, pictures showing the humility, selflessness und peaceful nature of Christ were contrasted with pictures showing the pride, selfishness and warmongering of the Pope. Whereas the former chased the merchants from the temple, the latter got rich by selling indulgences. Pictures like these did great damage to the Pope’s prestige and boosted the rise of Protestantism. Early modern: period of history following the late middle ages. Period from around 1500-1800 AD.